Next 4 weeks of outreach screenings #London #Ljubljana #Zagreb #Sarajevo #Geneva #NewYork #Beirut and in #Prague #TheHague for festivals! 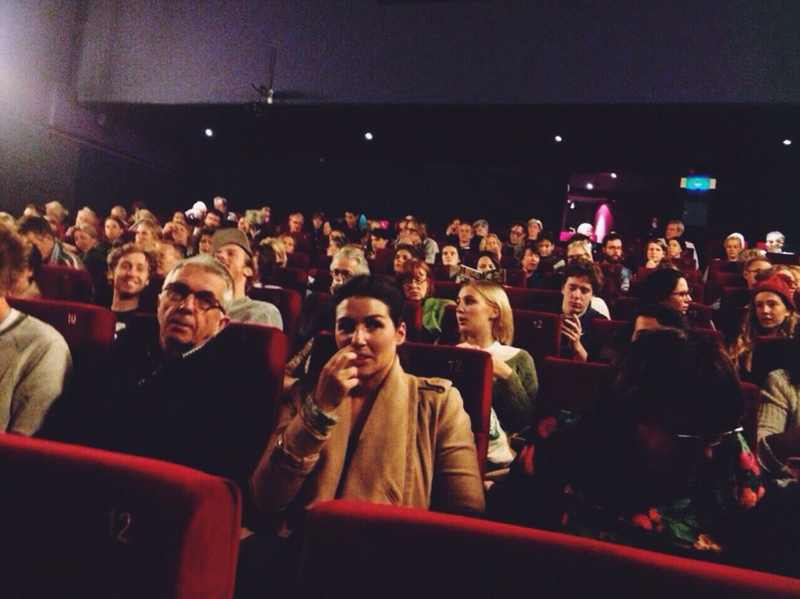 IN THE SHADOW OF WAR @ IDFA 2014 - sold out International Premiere. 5 screenings. 2 Award nominations! Back in Bosnia this week to launch THE GENERATION PEACE PROJECT - the 2 year long outreach plan to follow In the Shadow of War. Big screening in Sarajevo with all our potential outreach partners. We also spent time with Elvis and Magdalena, great to see them doing better. We are very excited to confirm that IN THE SHADOW OF WAR has now officially signed w/ distributor ro*co films! With Nada Velan our newest member of the team as our Co-exec producer, in Zagreb for meeting with Foreign ministry. Our interview for CNNi is now live, watch here! Back in the edit with Chris for 2 days making final improvements to the film - Sophia very happy - Chris very stressed! We are currently working on our Outreach/Impact plan which brings us back to Bosnia in late August. Our newest member of the team Gabi Kent is head of the Outreach/Impact and will draw on her expertise and networks in the fields of film, academia, public engagement and human rights policy and practice. Gabi specializes in devising and delivering strategic and creative approaches to using media for social change. Stay posted for more updates on developments for the plan and if you want to get involved please email us at impact@groundtruthproductions.com! We had an amazing week at Sheffield Doc Fest and were honored that In the Shadow Of War was selected for the Special Jury Award - an amazing feeling after 2 long years of working on this film. Thank you to everyone who has supported In the Shadow of War. Only days away now until the world premier of IN THE SHADOW OF WAR at the Sheffield Doc Fest --> 9th June Showroom 3 @13.00!! Followed by Q&A with us! Nominated for Best British Film at the OCDF! Day 3 in the sound mix! In the Shadow of War is up for the SPECIAL JURY PRIZE! In the colour grade @ Rapid Pictures with Luciano! 1st day! IN THE SHADOW OF WAR has been OFFICIALLY selected for the SHEFFIELD DOC FEST! 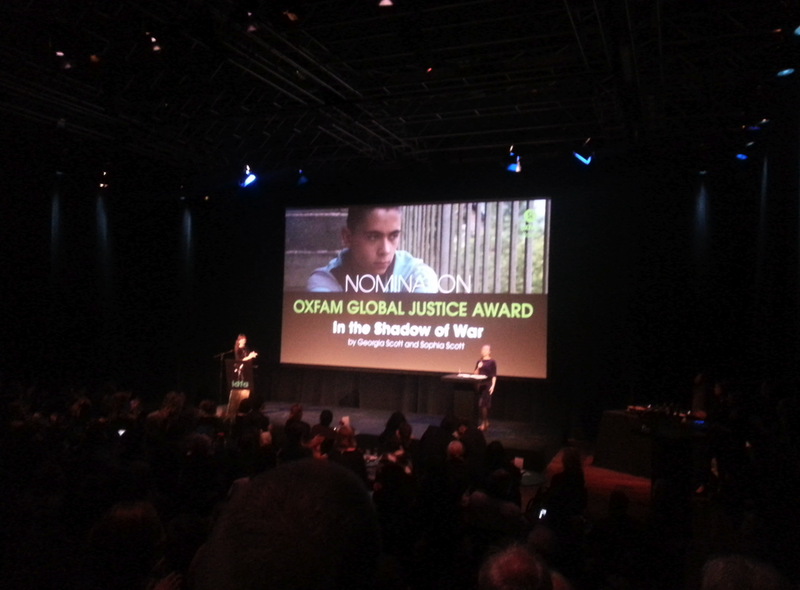 And we are in competition for THE SPECIAL JURY AWARD --> From a selection of the best films in the Programme. The Special Jury will honour one film that ebst displays excellence in style, substance and approach to documentary filmmaking. IN THE SHADOW OF WAR will have its world premier 9th June!! Translation checks are complete! And the film is no longer called Between Two Mountains.. it has a new title... IN THE SHADOW OF WAR. The online is fast approaching! ...Sooo much has happened in the last couple of weeks! Today is our last day in the edit - after 5 long months we now have a finished edit! There is still work to be done though - we need to spend a couple of days on checking all translations, incorporation the music which our composers are working on and get the film into the online for the colour grade/sound mix. The online now is booked for mid may and we are working hard on our OUTREACH PLAN! 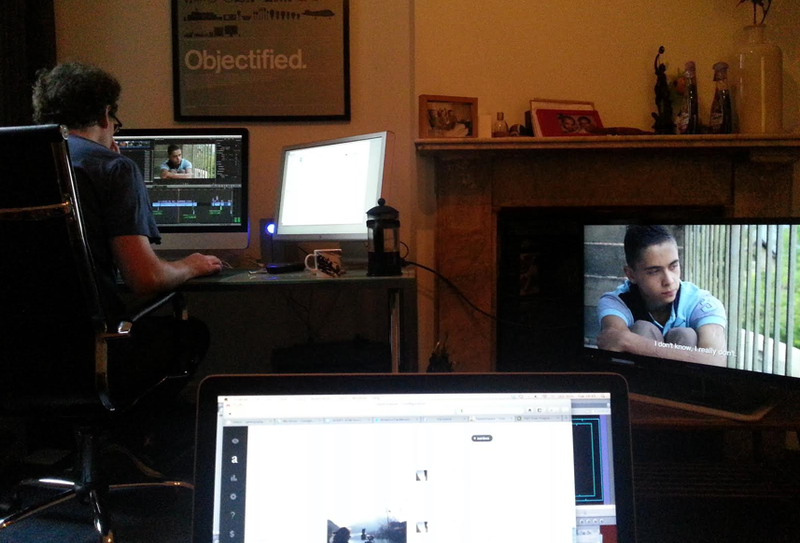 Entering our last couple of weeks in the edit at Rapid Pictures. We are hoping to travel to Bosnia to work with the composers in early May before the film goes into colour grade and sound mix scheduled for end of May. 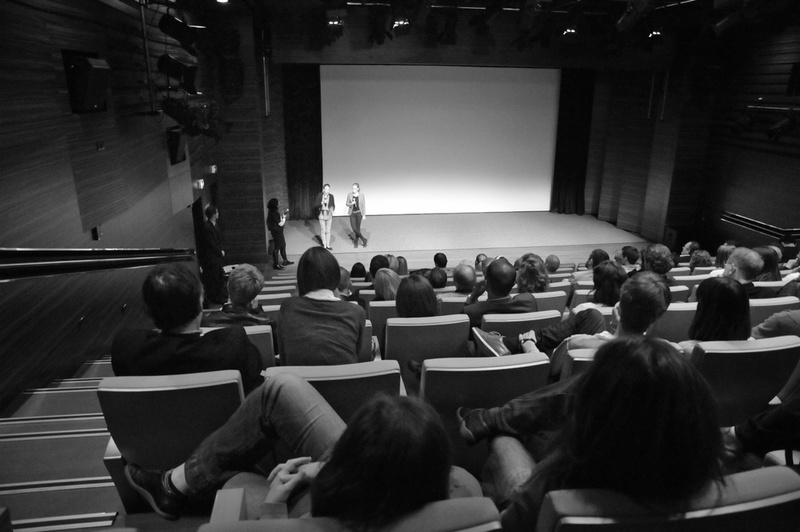 There are many film festival deadlines fast approaching so we are working hard to make them! Our Film Featured in Bosnia's #1 Newspaper! Great screening + Q&A of Act of Killing yesterday day at ICA with Joshua Oppenheimer. BAFTA well deserved. Entering our 3rd week with John Mister- all going strong. We leave to Bosnia on March 1st. We are now in our second week of the edit at Rapid Pictures with John Mister - just over 5 weeks remaining in the edit. We are actively following the current protest in BiH. The planning of our 7th and final shoot is going well - we will be leaving anytime from now until the 1st of March. We had a meeting yesterday with Taylor McKenzie and are making good progress on the opening title sequence. Today is our first day in the edit with John Mister at Rapid Pictures. We will be here for the next 6 weeks - editing this last and final stage of the film. We have one more week planned in Bosnia for the end of the month to see our characters again and to work with Nedim & Leo on the soundtrack. We aim to submit the film into the Sheffield International film festival. We can now see the finish line! 107% FUNDED! 21 days, 6639 views of the video, 5000+ Facebook shares, 285 backers, £26860 raised to help fund the completion of Between Two Mountains! A huge thank you to every friend and stranger that was moved by the story we are trying to tell to the world and supported us in whichever way they were able to! Thank you for the generosity you have shown us and for believing in us. 41 hours left! Over 200 backers! 86% backed! £21,587! We are so close! 26.01.14 - 5 days left! We are now nearly at the 10k mark! The campaign is picking up momentum. This week alone, we got public support from Edin Dzeko and Aleksandar Hrsum via their public and personal profiles and twitter accounts. That alone, tripled our viewership in half a day. David McWilliams has offered to have us speak on his upcoming broadcast in 5 weeks. Hub Dot London will feature us as a guest speaker at their event in February. We got published on Klix.ba and are in the midst of an interview that is to be published on Avaz.ba next week. We are receiving a lot of interest from film festivals worldwide and the international community... all of this before the film is even finished! 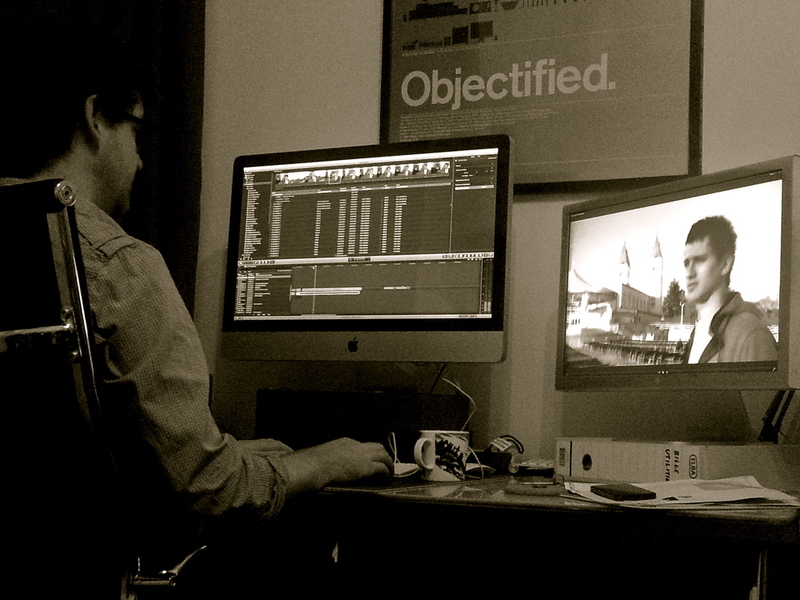 Provided we hit our kickstarter target- John Mister is ready to start the final 5-6 week edit on the 3rd of February. We are lucky to have his expertise and talent on board. Taylor McKenzie have started work on the opening titles, while Nedim & Leo from Basheskia are continuously working on a unique soundtrack for the film. If you haven't already, please do share this Kickstarter link with all your friends, family and contacts. We greatly appreciate your support. Thank you so much to everyone who is supporting Between Two Mountains. We are nearly at the 3.5k mark thanks to all your support. Yesterday we had a meeting with our new editor John Mister and our executive producer Christopher Hird to discuss the next step of the film. If we reach our target on Kickstarter, John Mister is ready and waiting to start the 5 week edit on the 2nd February which will finish the film. Over the coming week he will be looking over footage and watching our rough cut. Our previous editor John Moffat will still be involved in the film and will act as an editing consultant. We had our 2nd meeting with Craig from Taylor McKenzie - work on the titles sequence will begin next week. We have just past the £2000 mark on our Kickstarter campaign! Please take a moment to check out our page and get involved. We will be launching our Kickstarter campaign in the next couple of days. We are aiming to have the film completed by the end of march but will only be able to achieve this if we can raise the required funds. Kickstarter is a great way to reach out to many people in all parts of the world. We are preparing to launch our first Kickstarter campaign - here is a still from the campaign video we shot while on our shoot in Bosnia last week with our co-producer Maja . This is our 12th week in the edit. BTM is really taking shape now. 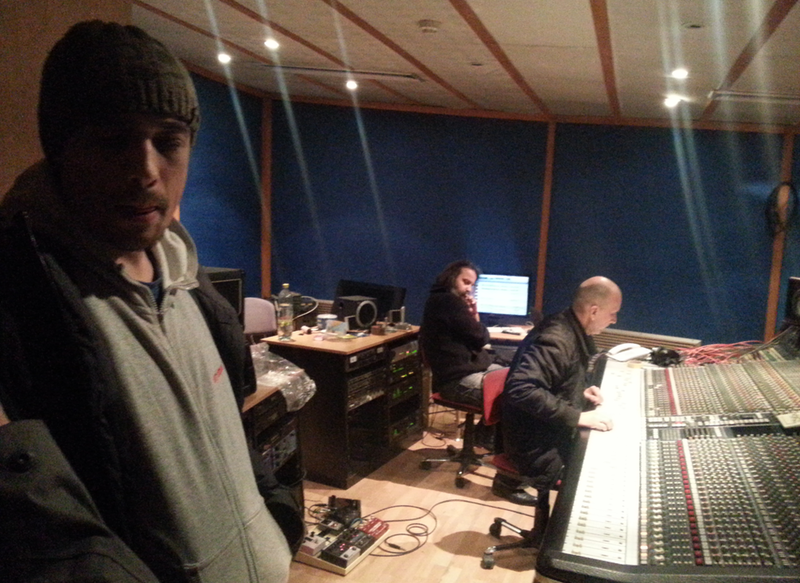 We have Nedim and Leo in Sarajevo working full time on the soundtrack. We are hope to be back in Bosnia in January to work with them on completing the music for the film. Filming the beautiful epic landscapes of Bosnia Herzegovina - on route to Sarajevo. Leaving back to the UK tomorrow to go back into the edit with John. We have 12 days of the edit left for this year. Planning on returning to Bosnia Herzegovina in late January to work with the composers on getting the soundtrack for the film completed. Meeting with Mario from Zoster in Mostar to discuss the soundtrack for the film. This day exactly one year ago we arrived in snowy Sarajevo for the first time! Great day of filming with Ilija today in Mostar. We have arrived in Sarajevo for our 6th and final shoot. We have got 7 days ahead of us, filming in Mostar and Zenica. Meetings in Sarajevo and filming a new Kickstarter crowd funding video. Back to London on 1st December for another 10 days of editing. Saturday morning production meeting with the directors and new co producer Maja. Working on fund raising and our outreach plan. We are now more then half way through the edit and by the end of this week will have completed the rough cut. We are still hoping to get back to Bosnia in 2 weeks time. We are very excited to bring the rough cut with us to Sarajevo and work with Nedim and Leo. We are still on a fundraising mission and still have quite a way to go! Above is a short 1 minute promo clip of the film featuring new music by our composers Nedim & Leo. We are now in our 6th week in the edit. We started the rough cut on Monday and things are really starting to take shape. Nedim and Leo are continuing to send us amazing tracks. Only 3 more weeks until we fly back to Bosnia for our 10 day shoot. We have a new team member! Maja Hadziomerovic is as passionate about the film as us. She will be helping with fundraising and networking. Maja is currently in Stockholm connecting with potential partners. More updates on this to come. We have also just launched our Between Two Mountains Facebook page! Nedim and Leo , our composers in Sarajevo, are working hard on creating sounds and writing music for the film. They have already sent us 7 new tracks, trying to find unique sounds for each of our characters. We look forward to spending time with them in the studio on your upcoming visit to Bosnia next month! We aim to be living for our 6th and final shoot in mid November. We are now entering into our 4th week of the edit. Nearly 70% of the translations are complete. John is now starting to put sequences together to slowly build a rough structure. We aim to start the rough edit next week. More screening dates to announce soon #Germany #France #BosniaHerzegovina & look out for @InShadowofWar on your TV screens soon!